First Ever Community Consultation Delivered – And What Have We Learnt? At the beginning of June, I spent two weeks in the mountainous region of Svaneti in northern Georgia, consulting local communities about our proposal to build the Transcaucasian Trail. I was joined by James and Tom from our team and Beka from the National Hiking Federation, our invaluable partner. And by Georgina, our invaluable team vehicle. Before I briefly summarize the trip, it is important to note that such community consultation hasn’t been conducted before (in Georgia). To our knowledge, the TCT project is the first tourism-related project in Georgia that puts community engagement at the heart of its operations. I had been preparing that trip for a few months, finding relevant people in Svaneti online via my Georgian friends, various Facebook groups and other contacts I came across during my research. Before leaving for Svaneti, I had found at least one person in each village who had been briefed about the TCT and the reasons for my visit – these fantastic people helped us organize community meetings in their village. Dato, Lasha, Levan, Richard, Tony – to name a few who went the extra mile to help us. Thank you guys! We have visited nine villages along the proposed TCT route in Svaneti (Ushguli, Adishi, Zhabeshi, Caldashi, Chvibiani, Nakra, Mestia, Mazeri and Etseri). The word “proposed” is important here as one of the objectives of the consultation was to discuss the route with the local people and check whether they have any suggestions how to amend or improve it (they have, and we will make small amendments based on their useful comments). However, the main purpose of our consultation was to introduce ourselves, answer questions, discuss the benefits and impact of the TCT on the local communities and address any concerns, discuss ways to cooperate on the TCT development and get the local community blessing in each village to go ahead and start building. I am pleased to say that **we got the approval and blessing for the TCT in every single village we have visited. We were told by the local people that they really appreciated the fact that we came over and just asked for their opinion, which made the whole trip worthwhile and I found it very touching. The community meetings were held in various places: local schools, guesthouses, cafes, outside on the side of the village road, Mestia Town Hall, even in a kindergarten with a happy bunch of under-fives of Nakra munching on our biscuits. Some meetings finished with an invitation for us for some delicious Georgian food, wine and chacha, where we carried on discussing the TCT and other tourism development-related issues in Svaneti. 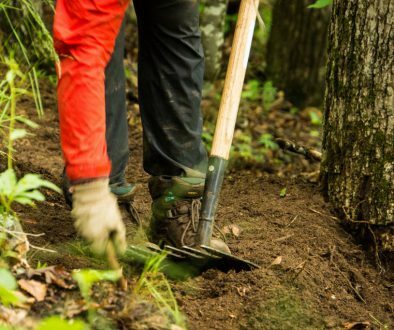 The majority of locals who came to the meetings were mainly those either already working, or interested in working in tourism who felt that the development of a long-distance hiking trail will affect them directly. We also wanted to introduce the TCT project to the local officials – we have met the Governor of Mestia Kakha Jorjoliani; the Head of the Border Police; the Head of the Mountain Rescue service; the Head of the Tourism Department at the Mestia Municipality as well as the Head for Youth projects, who let us piggyback on a World Bank’s meeting for the young people of Svaneti that was taking place in Mestia. We have also spoken to a few mountain guides individually. Before we arrived in Svaneti, we had emailed all guesthouse owners in Mestia and other villages who have email addresses (altogether around 70) alerting them about our visit and inviting to meet up. We have also phoned about 20 guesthouses in Mestia and at least 15 in other villages. Additionally, we gave away most of the 500 postcards we had printed in Svan and in Georgian, with a short information about the TCT and our contact details. Altogether, we have reached to over 250 people in Svaneti – met around 150 during community meetings and individually, emailed 70 and phoned over 35 in advance. Considering that there are 219 guesthouses in the nine villages we visited, we can safely assume that we have reached a high percentage of the people who work in tourism in Svaneti. 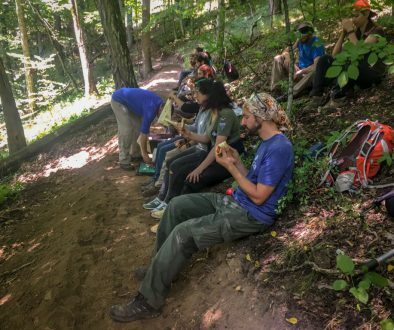 Beka acted as our translator and turned out to be a great TCT Ambassador, encouraging people to get involved in the summer trail building and maintenance, and answering all queries. People wanted to know what our connection to the region is, how they can benefit from the Trail, how long it will take to build it, how they can get more exposure to international travellers. They studied the proposed route carefully and made useful suggestions. In every village they told us that they want more tourists– tourism brings business and much-needed cash. They also understand, at least in theory, that they need to offer a certain standard of service in order to encourage more people to come, without compromising the historical and cultural heritage of the place. They are concerned about the potential problems with waste disposal, something that needs to be addressed by the local authorities. So these are the numbers, but there was so much to it beyond that. It is hard to put down on paper all the emotions that came with the visit – but in a nutshell, we had a fantastic time meeting with various communities, discussing the benefits and opportunities the Trail can offer them, discussing the growth of tourism and the way the local people can benefit from it responsibly. We have met many interesting, open, friendly and helpful people who now trust us and are expecting us to deliver. I hope the trail building goes well this summer and they can see that we are serious about the TCT. It was enhancing getting to know the local people but also getting to know each other. Forget crafted team building exercises organised by big corporations – the four of us can tell you that spending 24 hours a day for two weeks, in a small group of quite randomly-met people from three different countries, is the best team-building exercise ever. And, thankfully, it worked very well in our case. Hope to get reunited soon team! 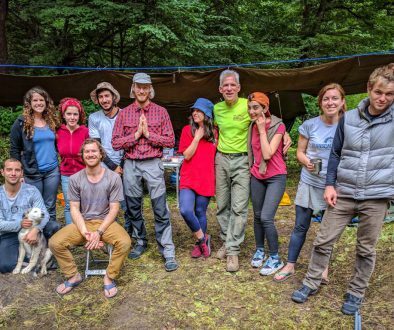 A Day In The Life Of A Trail Scout On The Transcaucasian Expedition	How Did We Get Here? Week 1: Austin.